I've been looking at Targaryen lifespans and they seem rather on the short side. Aegon died at 64, Aenys at 36, Jaehaerys at 69, Viserys at 52, Aegon at 36, Baelor at 27, Viserys at 50, Aegon at 49, Daeron at 56, Aerys at 49 and Jaehaerys at 38. I excluded those who died violent or accidental deaths. Some of those I included died of obvious reasons or diseases like Aegon IV, or Daeron II but I included them because they can be seen as part of a pattern of poor health. For instance Jaehaerys I age does not justify his condition and his father was basically a wreck before he hit forty. The only example of a Targaryen we have of living a really long life is maester Aemon. This is really low life expectancy and while this is supposed to be the middle ages, they were royalty and lived in better conditions than the average joe. Meanwhile characters like Tywin and Jon Arryn are in their sixties and seventies respectively and seem fine. So what are your opinions? Inbreeding? Magic? Highly stressful lifestyles? Or simply poor planning from Martin who included too many Kings in too short a time? 50s and 60s is rather old for a feudal society. Hoster Tully was in his early 60s when he died. Olenna Tyrell is in her early 70s and is considered one of the oldest people around. Tywin is not yet 60 and people are impressed that he is as fit and vigorous as he is. Other than Aemon (and Old Nan), the only person who we would consider truly old is Pycelle, and he is about 84. As for the Targ kings, there is always the possibility that their deaths were unnatural. Aegon I appeared healthy and then keeled over from a massive stroke. Jaehaerys I failed over time, but who is to say that it could not have been a slow poison? The later kings were dealing with insurrection and lords who felt others with Targaryen blood might make better kings. It's not always good to be the king. OK, I stand corrected, then. Late medieval English peerage - 30 years. At age 21, life expectancy was an additional 43 years (total age 64). Early modern England - 33-40. 34 years for males in the 18th century. 18th-century France - 27.5-30 for males. Early 19th-century England - 40. 1900 world average - 31. 1950 world average - 48. In Medieval ages reaching 40s was already an achievement. Out of 11 Targaryens, that you listed, 7 lived past 45, and only 1 died before reaching 30. So their life duration wasn't that short, compared with real world in Medieval age, or compared with people from other great Houses in ASOIAF. There's not that many really old characters in there. The Ghost of High Heart (I suspect, that she is Rohanne Webber-Lannister, so she's 114 or 115 years old in 300). Shiera Seastar/Quaithe, her age is between 116 and 122. Bloodraven is 125. Though those three are using magic to prolong their life, so their longevity is unnatural. Maester Aemon died aged 102 (lived that long only thanks to the power of The Wall). Hoster Tully died aged 61 or 62. Jeor Mormont died aged 69, probably he lived that long, and was still in considerably good state for his age, also thanks to The Wall, same as maester Aemon. Jon Arryn died aged 78 or 80, though if he wasn't poisoned, maybe he would have lived until 90s, like Walder Frey. Walder Frey is 92. Olenna Tyrell is 72. 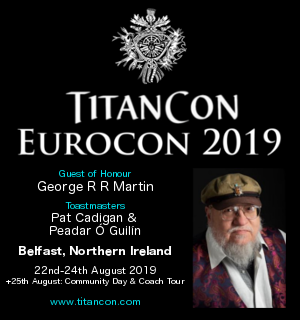 Barristan Selmy is 63 or 64. Wyman Manderly is aged between 58 and 61. Brynden Tully is 55 or 57. All other characters are younger than 50.